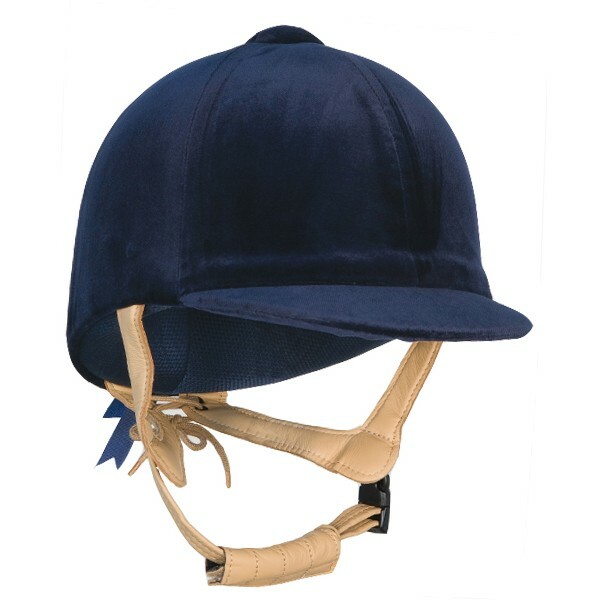 Velvet covered riding hat with lightweight injection moulded ABS shell,four point padded harness in a super soft leather with rear drawstring . Quick release buckle .Shock absorbing peak. 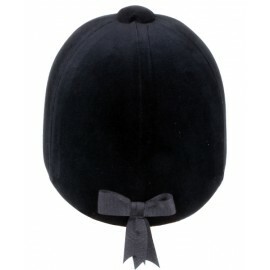 Hat approved to PAS015 Specifications.